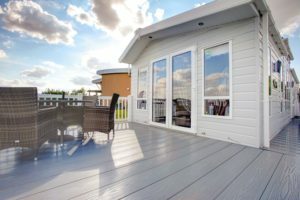 A beautiful decking system from Liniar is the perfect way to increase the living space of your holiday home by up to 50%, enhancing its value and maximising its functionality. Make the most of the extra room by lounging in the sun, dining outdoors, relaxing with a book, or simply watching the world go by – whatever suits your lifestyle. 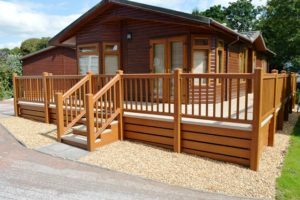 Whether your holiday home is a caravan or lodge, Liniar can offer a decking solution to complement its style. Our low maintenance, lead-free deckboards are available in a choice of contemporary colours, which can be mixed and matched to create a unique, co-ordinated design – all manufactured with an anti-slip tread for additional safety and an anti-wear finish for long-lasting durability. Liniar is proud to be the only uPVC decking manufacturer to offer a fully sculptured balustrade system for your deck – with top and bottom hand rails and vertical pickets all beautifully finished to complete your living space in style. 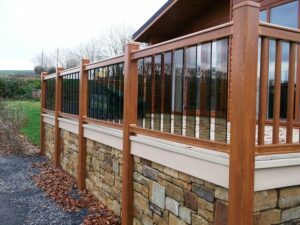 The balustrade range is available in a wide choice of colours and finishes, from plain white, cream or beige, to factory-fitted foils – offering a traditional, woodgrain effect or a more contemporary, modern flat finish, depending on your chosen requirements. Each bottom rail is supported by galvanised steel reinforcement, giving a strong and secure balustrade which offers more fire resistance than traditional materials – accredited with Class 1 Fire Safety. 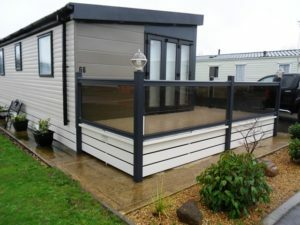 The low maintenance Liniar range has been carefully crafted, not only to add real value, functionality and style to your holiday home, but also to meet the strictest environmental legislation. The whole system uses recycled materials wherever possible, making it an environmentally friendly choice. Liniar decking is now also available in kit form. 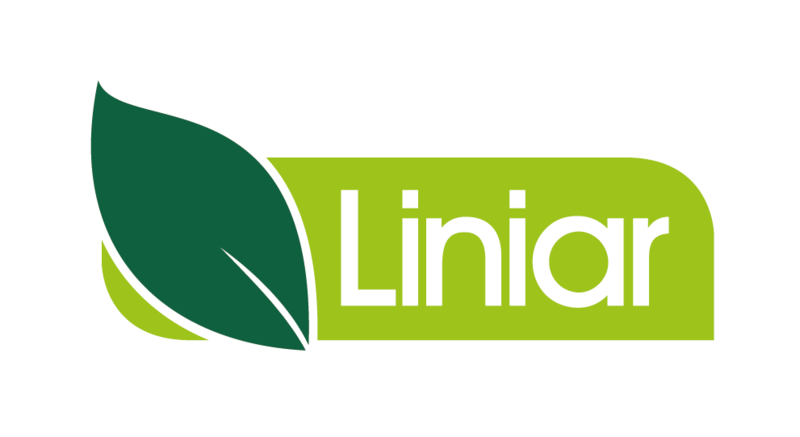 Find out more about Liniar decking kits or watch our installation video to see how easy they are to erect.